I remember liking this a lot more. The band’s last “indie” label release, this one was produced by Jack Endino, who produced about a jillion amazing albums, most famously probably Nirvana’s Bleach, which came out the same year as this album. Like Bleach, this album has some amazing songwriting, always a strength of Screaming Trees, and also like Nirvana’s first album, this one is best listened to loud. The sound is kind of muddy if you listen to it at lower volumes, but when you crank it up it kind of breaks through into a nice fuzzed out raunch. Lanegan starts to get amazing here. He screws his voice up and down into all kinds of contortions on “Black Sun Morning,” (which is, along with “Smokerings” from Invisible Lantern, the best song they’ve done to this point) in a way I don’t think he’s even done since. 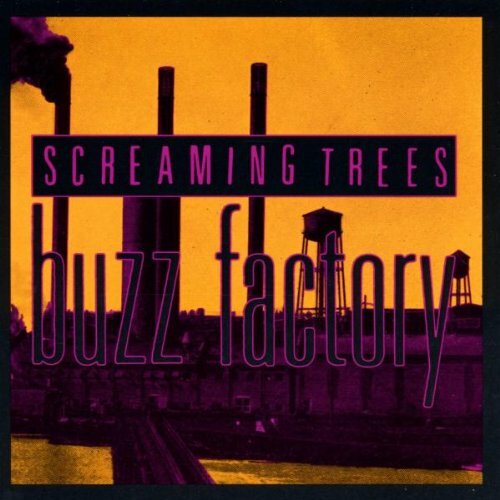 Here’s a tribute to Screaming Trees: Consider that by 1989, a full two years before Nevermind and Ten and three years before people would actually turn on to those albums, these guys were on their fourth album and had matured into an awesome band. I think I even hear some drop-D tuning going on here…the signature sound of what would be called grunge years later. For crying out loud, this was the same year Melvins would release the ridiculously raw and untamed Ozma. Windows – Fine song, but not one of the better tracks on the album. Too Far Away – I may move this up to full heart. Subtle Poison – Takes a while to get rocking and that costs it a full heart, cuz this thing is awesome by the end. Yard Trip #7 – Slow and dark. While one guit plays some sustained grungy chords, there’s like a picked harpsichord effect of another going on over it. It’s really good. Usually when bands switch up the tempo and mood like this mid-album it ends up being throwaway filler, but this fits really nicely. It’s the closest thing to his solo work, and The Winding Sheet would come out in 1990. Ends with the “question/response” spoken word bit. Flower Web – Very nice. Wish Bringer – Probably the worst one on the album. But it’s pretty darn good, spesh as it gets big in second half. The intro is cool, too. Revelation Revolution – This could be worst one, too. We’re in a bit of a bad stretch here with this, the previous, and the next. End Of The Universe – The epic closer. Love the breakdown at about 2:20 as the song really shifts gears. This entry was posted in album reviews, CD reviews, music, re-reviews and tagged 1989, 4 clowns, album reviews, CD reviews, Mark Lanegan, music, re-reviews, Screaming Trees by fatclown. Bookmark the permalink.